Browns coach Hue Jackson got just his second win in 35 games since being hired by owners Dee and Jimmy Haslam, and this win will ease some of the pressure he's been feeling to get Cleveland turned around. Jackson could also be faced with a difficult choice — either stick with Mayfield or go back to Taylor when he's healthy. 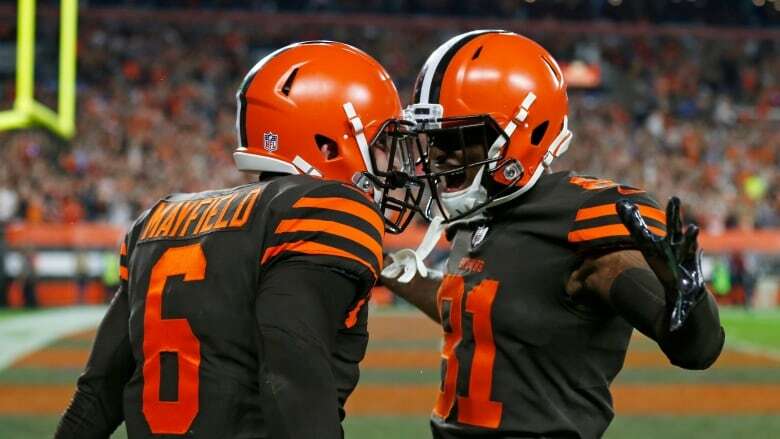 Mayfield made his NFL debut with 1:42 left in the second quarter, replacing an injured Taylor after Cleveland's starter was sacked for the third time. Taylor struggled getting to his feet after being dragged down by linebacker Avery Williamson, but he had absorbed several hard blows before that — and had been ineffective.